Direct link to more information and the Kickstarter webpage. [SatNews] A group of Canadian college students is trying to raise money to create a satellite that will test a new material that can heal itself. Space Concordia, comprised of Concordia University Engineering students, designed the ConSat-1 three years ago to study the South Atlantic Anomaly, an area in space that causes electronic equipment to malfunction. The ConSat-1 won the first Canadian Satellite Design Challenge last year, with a prize of having the satellite launched into space. Now, the team is working on a second satellite that incorporates a self-healing material designed by a Concordia professor. When the material breaks, an epoxy is released that seals cracks and protects against further damage. "Nobody has sent this to space yet, so we thought it's really interesting to do this ourselves—to send it in space —and if it actually works, this could be used in future for bigger satellites, or even the next space station," said Mehbi Sabzalin, the project leader for ConSat-2. 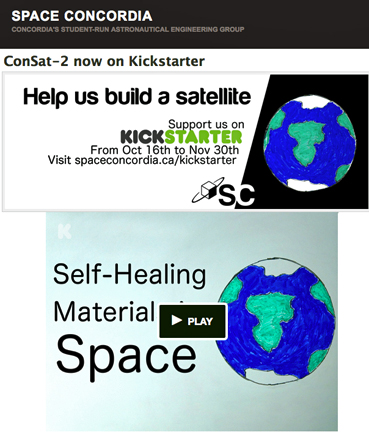 Space Concordia has launched a Kickstarter crowdsourcing campaign to raise $15,000 to create ConSat-2. 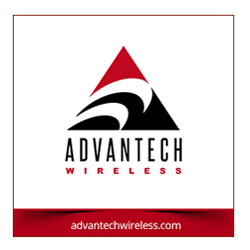 "It's going to go to all the stuff that needs money the most, starting with communication, the transceivers," said Sabazlin. The team said it has raised $1,387 on Kickstarter with 42 days to go to reach its goal.